A landmark in the investigation of white marbles by means of instrumental analysis was the paper by Craig & Craig (1972) where they published the first stable isotope date on marbles from the Greek mainland and Greek islands with the intention to assign these marbles to their quarries. As carbon and oxygen are major elements in carbonate rocks, the isotopic composition of these elements is a forceful tracer. 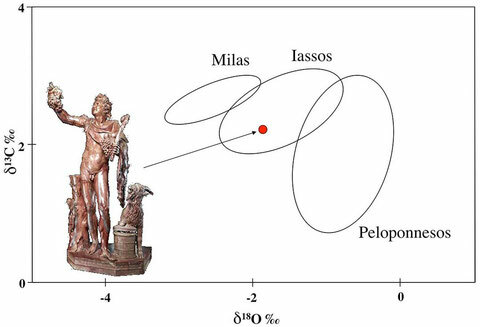 However, due to the overlap of the compositional fields of many marbles, a sound discrimination solely on the basis of stable isotope analysis alone can rarely be achieved. The different sources of Rosso Antico can be very well distinguished by stable isotope analysis alone without any further additional analytical methods. 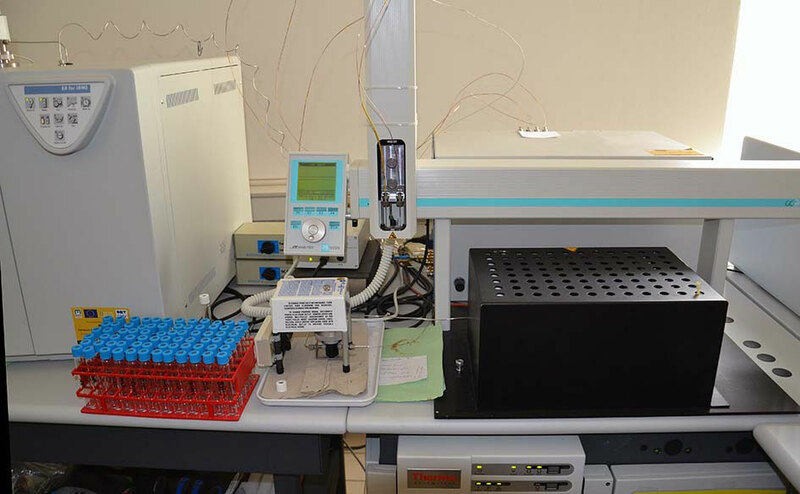 We analyze the stable isotope composition for carbon and oxygen by using a ThermoFisher DELTA V mass spectrometer (ThermoFisher, Bremen, Germany), connected online to a ThermoFisher GasBench II and a CTC Combi-Pal autosampler. For the decomposition of the fine-ground samples (approx. 0.2 mg), H3PO4 conc. was used in a He-flushed atmosphere heated to a temperature of 70°C (90°C for dolomites). Long-term precision turned out to be 0.06‰ for oxygen and 0.05‰ for carbon, respectively. The analytical results are presented in the usual δ-quotation (δ13C and δ18O) normalized to a standard (commonly PDB). I am using statistical ellipses (90 % ellipses) to display the compositional fields of the datasets (usualy quarries or a set of quarries of a certain region). Up to now thousands of analyses have been published, and this analytical method is still the most important and most widely used analytical approach in the investigation of white marbles. The advantages of this method are the meanwhile cheap and easily available analyses and the very small amount of sample required. It has to be kept in mind, however, that extremely small samples in the order of about 1 mg taken from weathered or partly weathered surfaces of ancient artefacts imply the risk of appreciable modification of the isotope composition of the corresponding samples. Widely used databanks for stable isotope data of marbles are those of Herz (1987), Gorgoni et al. (2002), and Attanasio et al. (2006). 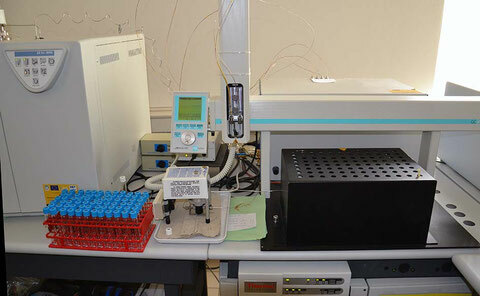 I am using the analytical data of my databank which contains more than 2000 quarry samples (white marbles).